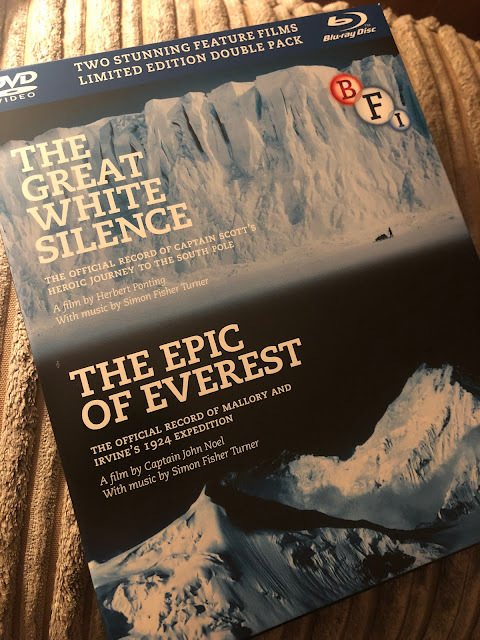 Down to London a few weekends ago, and discovered this Blu-ray / DVD edition of Epic of Everest, along with 'The Great White Silence'. I was reading Peter Jackson's article on the history of the Geographical Association in the most recent issue of 'Geography' (written for the GA's 125th anniversary year) and also Balchin's 'First Hundred Years' of the Association as well. This article explains more about the filming and the resulting film itself. I can see a link with the Royal Geographical Society, but there was also a link with Everest and the Geographical Association which I need to pursue more as that is less clear in the booklet that comes with the film.